Beer is communal and craft breweries latch to that concept time and time again through what they do and what they promote. That sense of community permeates into the brewery’s taproom, where a brand and story can be told front and center. Many times, even getting a taproom going can be a challenge, depending on city and state laws, though. “Our township didn’t really know what to think when we applied to build the brewery,” said Vaughn Cutillo, a co-founder of Montauk Brewing. Cutillo noted that it took about three years to secure permits. “They didn’t want a late night drinking crowd and that certainly isn’t what Montauk Brewing Company wanted either,” he noted. “We simply had to educate them and be transparent about our goals. Once they understood and we opened our doors, they immediately responded positively. One of the biggest challenges Creature Comforts faced opening a brewery in Georgia was unfavorable legislation. 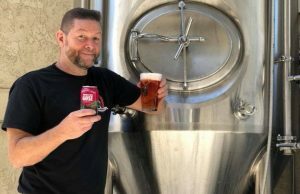 It wasn’t until September of 2017 and the passage of Senate Bill 85 before Chris Herron, the CEO of Creature Comforts, could sell beer directly to a consumer. 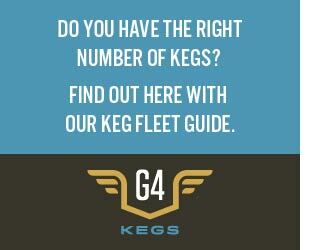 As a result, they had to completely change the way the brewery’s taproom operated. When DC Brau first opened in 2011, the laws surrounding tasting rooms were very restrictive, pointed out Brandon Skall, the brewery’s CEO and co-founder. “[They were] antiquated and simply didn’t make sense,” he said. “We wrote legislation to create a tasting permit for manufactures, legalized growler sales, and were later involved with legislation to legalize on-premise brewery pint sales. Skall has always thought of the DC Brau taproom as the place where customers can find out who they are as a business and individuals. “Jeff and I built our tasting room ourselves because we were so under-financed when we opened,” Skall pointed out. “It has DIY charm that really represents that period of time in both the brewery’s life and ours. As the localism movement has grown, the brewery has become a source of pride for our city and neighborhood. Having regulars can be great, but in an increasing competitive market on shelves, that competition can leak into a brewery’s taproom as well and holding on to consumers is much tougher than it used to be. The increase in retaining that client base along with attracting new consumers isn’t always easy, but as breweries more and more focus on locality and the people they can see, talk to and consume, taprooms have helped in that direct marketing. Capital Brewery has been around since 1986, and many of the Madison, Wisconsin’s taproom regulars have been drinking their beer since then, so listening to their comments and suggestions has always been important as Ashley Kinart-Short transitioned into the Brewmaster position. 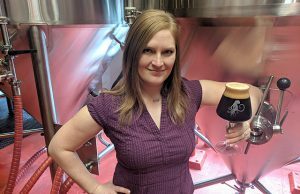 She said that about five years ago the brewery began a Mug Club to give added perks to regulars, and they have continued to add to that program. 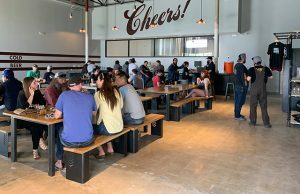 Holding a VIP party for core regulars for beer releases or soft openings of a tap room expansion or other facility upgrades can also serve as a test run to get feedback from honest and trustworthy customers. “Whether it is working out the kinks of a new draught system or breaking in a new event space, they are a great tool to give feedback for improvement while being shown some appreciation at the same time,” she said of the long-time regulars. “We don’t have TVs by design and we close early (8 p.m.). Our goal is to drive business to the loyal restaurants and bars that carry our beer — rather than take business,” Cutillo said. “We have realized that by offering the freshest craft beer, while telling the origin story of the brewery that we have gained tremendous support and loyalty of our fans. The Pub is the heart of Saugatuck Brewing Company said Vice President of Marketing, Megan Scheerhorn. “We distribute out to 13 states and six foreign countries, but it all started here,” she said. “That’s why we think it’s extremely important to get people here to the pub, show them what we’re all about, and make sure they have an amazing time while they are here. The biggest change at Saugatuck happened in the summer of 2017. For years, Scheerhorn said they had a giant room in the building that they used a handful of times a year for private parties. “We would host large weddings, rehearsal dinners, corporate parties … but the room often sat unused,” she said. “It was a big risk, but it came with a huge reward and now we can serve almost twice the amount of people we could in the summer of 2016,” Scheerhorn said. She added that the brewery’s Pint Club has been a big help in consumer retention. “They receive discounts on every pint, growler fill, special event ticket and more,” she noted. “Plus, a few times a year, we throw a party that’s just for them. On these nights, we put out a huge spread of food, give them dollar pints all night and give away some free SBC swag. 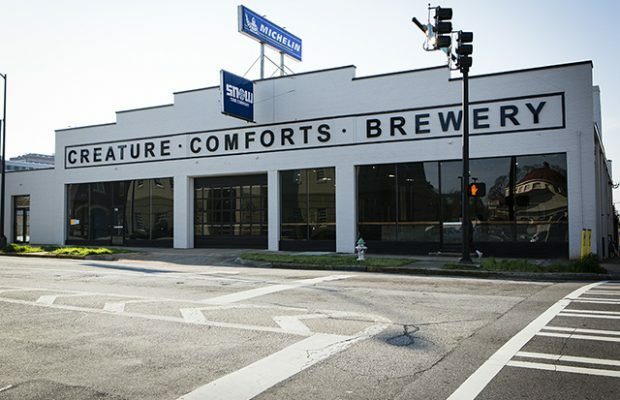 Kinart-Short admits that Capital lost a bit of focus on keeping specialty items for their own taproom for a little while, sometimes prioritizing everyone but themselves for specialty beers. 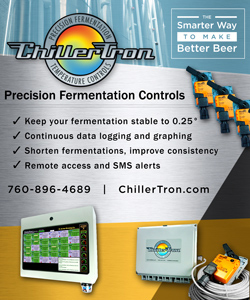 The brewery recently installed a 7-barrel pilot system to supplement their 35-bbl brewhouse in order to focus on small and unique beers that might not fit into a normal portfolio and beer calendar. Taproom regulars and Mug Club members at Capital have also been enlisted in voting rights and input on what small batches and taproom exclusives the brewery creates. “With a crowd that has been drinking our brewery’s beer almost since before I was born, I can’t ignore the huge amount of history and feedback that can easily be found any day of the while having a beer with our loyal customers after work is done,” Kinart-Short said. 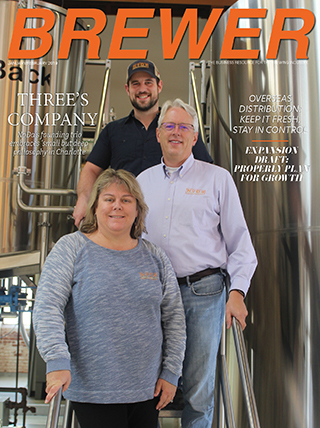 A taproom has always been an important vehicle for creating a positive brand experience and a great margin when a brewery bypasses distribution partners, noted MadTree Brewing’s Mike Stewart. The move to regionality/localism by consumers would appear to be a byproduct of supply and demand he thinks. The shift and focus to a taproom culture is not really a new thing, it has been happening for a long time, Herron added. “The movement towards supporting locally produced goods, as well as the movement back away from large chains to more local small businesses, is not unique to craft beer,” he pointed out. “Our industry has certainly capitalized on it and arguably accelerated it because craft breweries are not only more local than the large breweries, they are simply making better beer.